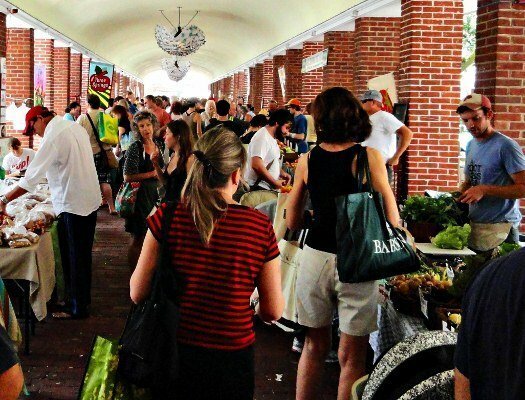 It’ll be Opening Day soon for two of our favorite Philadelphia institutions: the Phillies and the Headhouse Farmers Market. 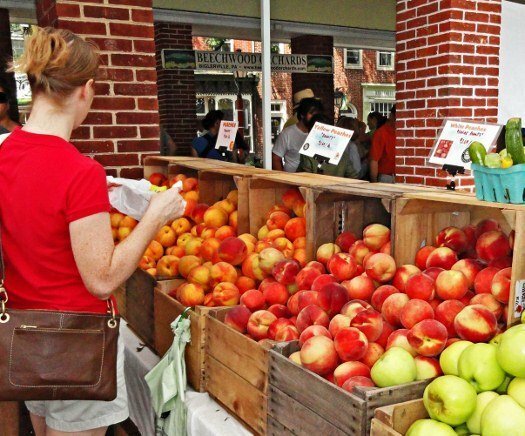 While we don’t know if the Phillies will make or break our hearts this year, we do know that the market will offer the best assortment of locally grown produce, handcrafted artisan cheeses and chocolates (who said everything has to be healthy?) and fresh-baked goods. Run by The Food Trust, there are strict requirements that all the vendors produce what they sell, so there’s no one selling chachkas or bringing in bulk products from far away. The ambience of the market matches the historic character of the neighborhood. 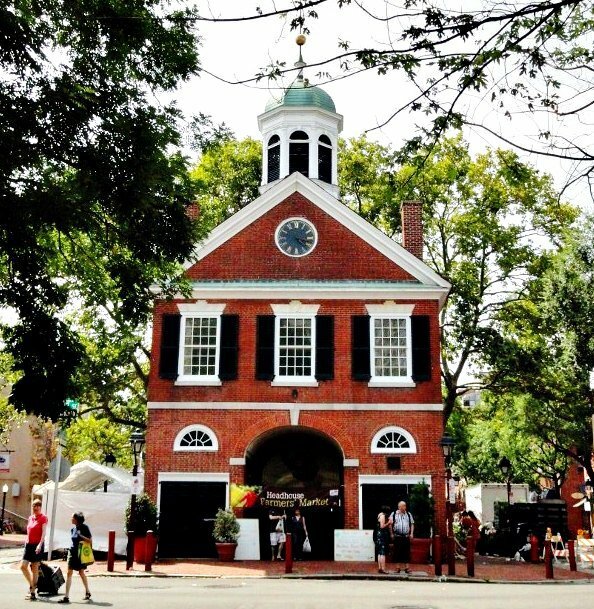 It sits astride cobblestoned streets and is held in the circa-1804 brick headhouse in the Society Hill section of Philadelphia. A market was on this site when the neighborhood was first established in the 1740s so it has to be one of the oldest markets in America. 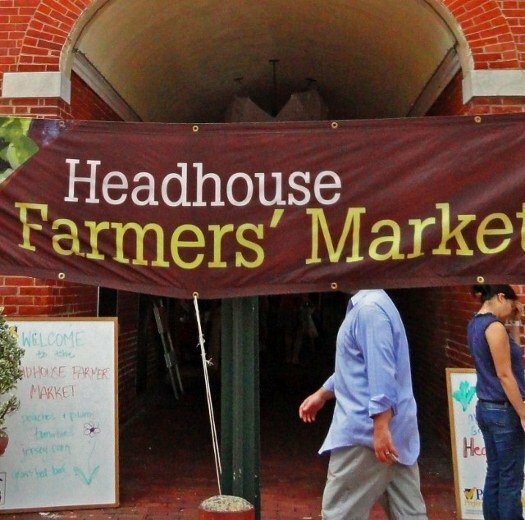 The Headhouse Farmers’ Market is our favorite place to shop for food. It opens at 10 on Sunday mornings, enticing us to roll out of bed at a reasonable time. The fact that it was only a few blocks walk for us when we lived in Philadelphia certainly helped. We’d start out with the best intentions to stock up on vegetables and fruit but always seem to come home with more croissants than carrots. Since we’re away this year we’ll probably miss most of the growing season. Hopefully we’ll return in time for the autumn squashes and pumpkins and, just maybe, a parade for the Phillies. One can always dream. The Food Trust in Philadelphia. Okay, I couldn’t resist this photo of someone walking by the Headhouse who apparently has no head.